Hi Tando fans! 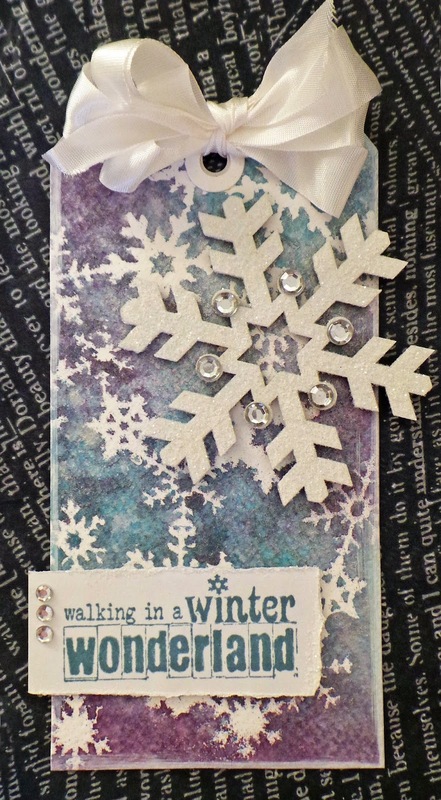 Dana here today sharing a card that I created to help celebrate the New Year. I've been using the Round Grid a lot lately and have saved the small circles that I punched out of the grid. They made great buttons for this black tie card! I simply colored the chipboard with black ink and glued them onto layers of white cardstock. You can find the Round Grid in the New Releases section of the Tando Retail Shop. I hope you all start your New Year off with a bang! Thanks for stopping by today! Not strictly a DT make today as it's of course based on the work of Sir Tim and his 12 tags of 2014 for December. As soon as I saw the tag Tim had made I thought of the gorgeous deer chippies that Tando make (pictured below). 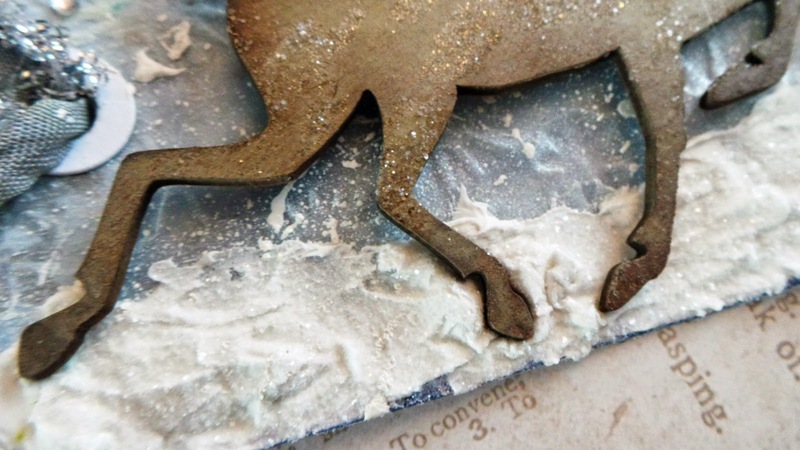 I painted and glittered the lovely running reindeer and used modelling paste to make the 'snow'. More on my blog. See you in 2015 - Happy New Year! I know that we all are deep into Holidays, but I just have a few projects I made lately and never posted in Tando blog. 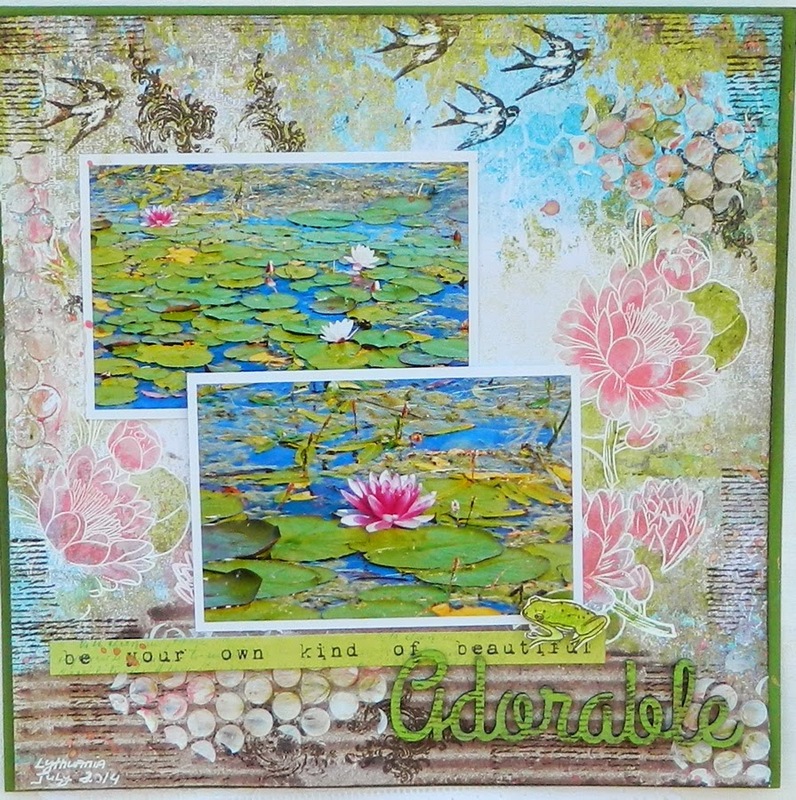 And as I used lovely new Tando products, I decided to share them even if those are not Holidays projects at all. 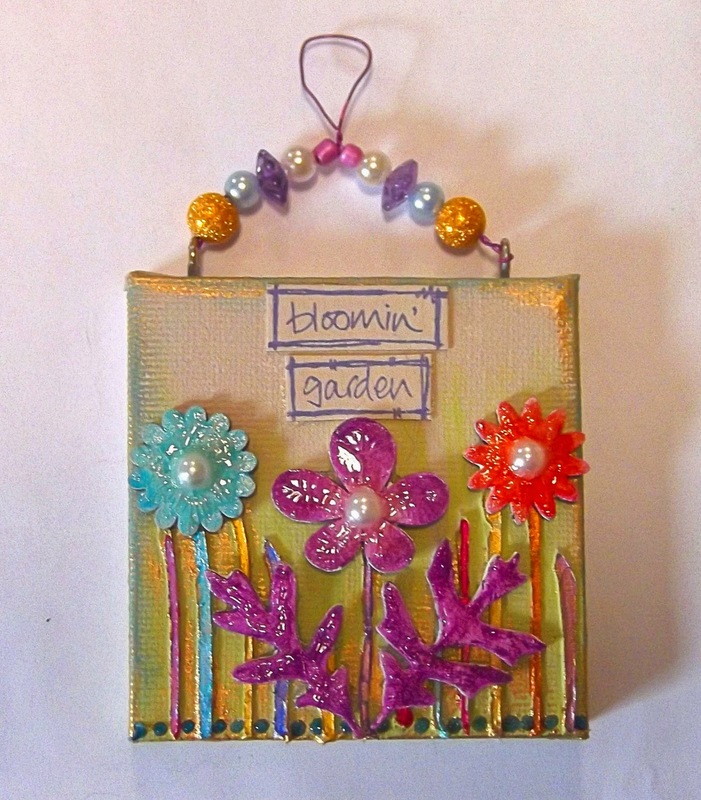 This is the first one- lovely very simple layout made with masking and stamping over the painted chipboard title. (Also the whole background is stamped and colored, but it's not Tando issue for this matter). I wish you all a very Merry Christmas and a very Happy New Year! 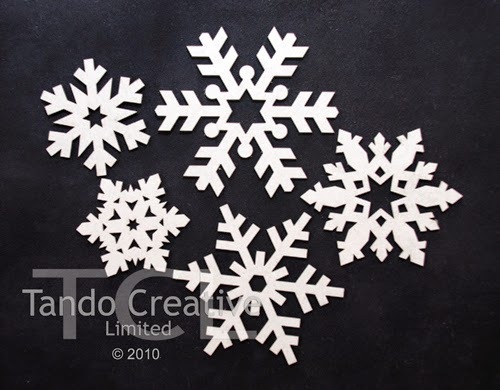 I have a quick tag for you today featuring a one of my favourite Tando Masks - joined snowflakes. This mask is really detailed and gives a fabulous effect. 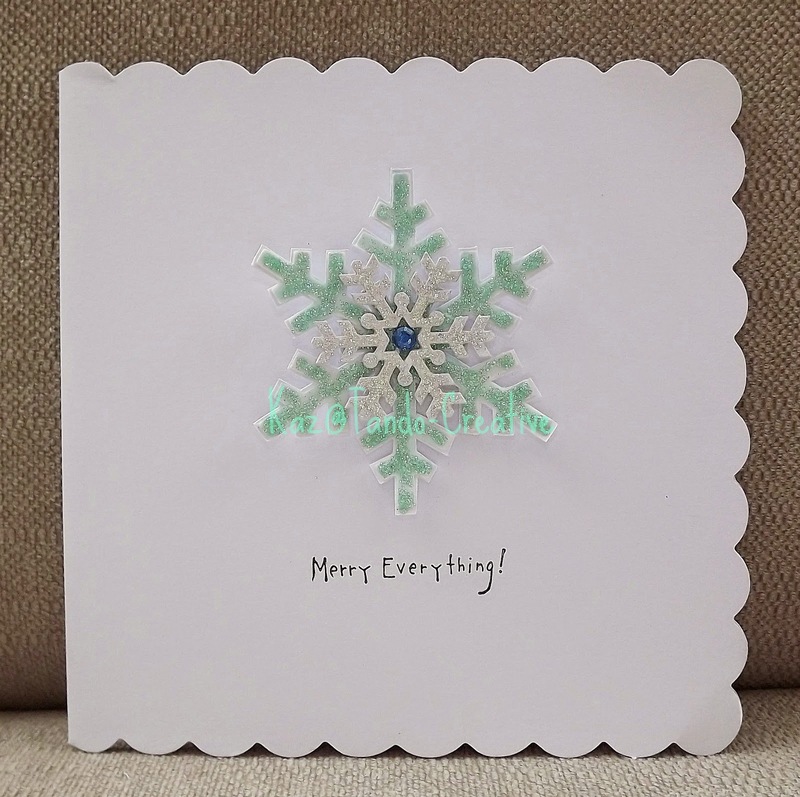 I sprayed my tag with Distress Stains over the mask to make a background and embellished it with a large snowflake from the Tando pack of 5 Snowflakes, which I covered with gesso and Distress Glitter in Rock Candy so it's lovely and sparkly! More on my blog. Thanks for visiting us today! 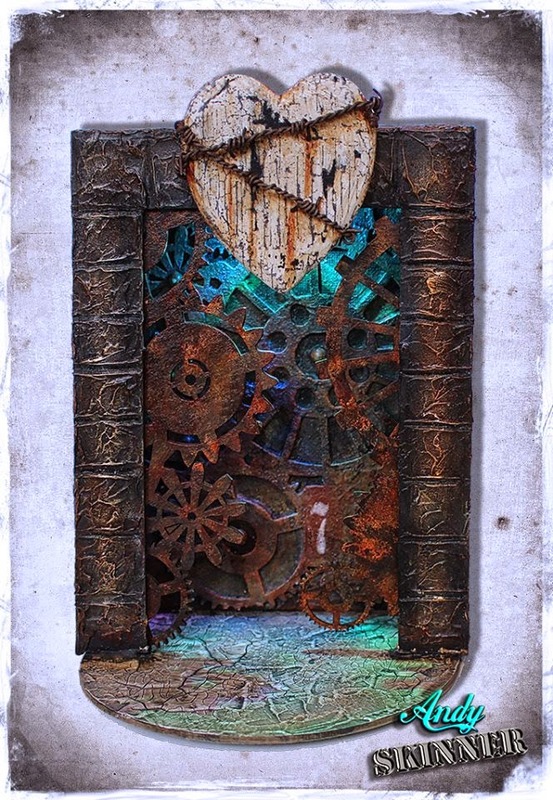 Andy Skinner in his usual style has put together this fabulous piece using our Art Room base. Find out blank Art Room base HERE. Irit is here with some non Holidays inspiration. But why not ? Love is everywhere and forever and it's timeless and has no seasons . 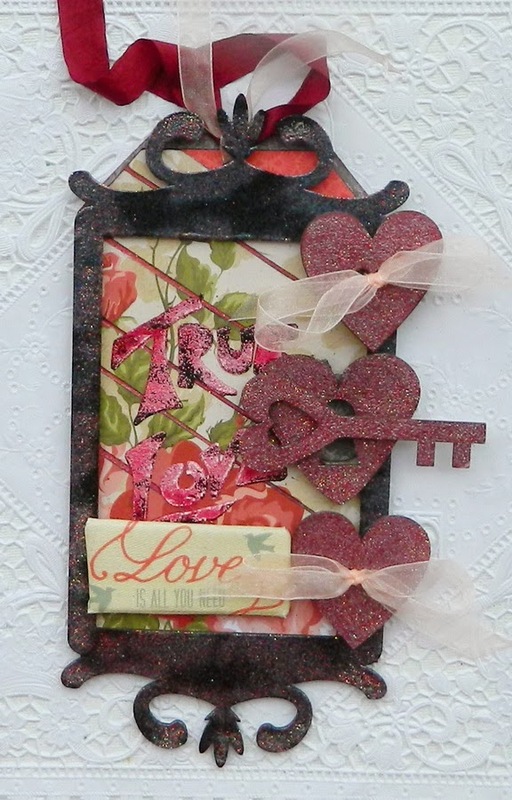 So here is my new altered tag made with some new, just released, Tando products. 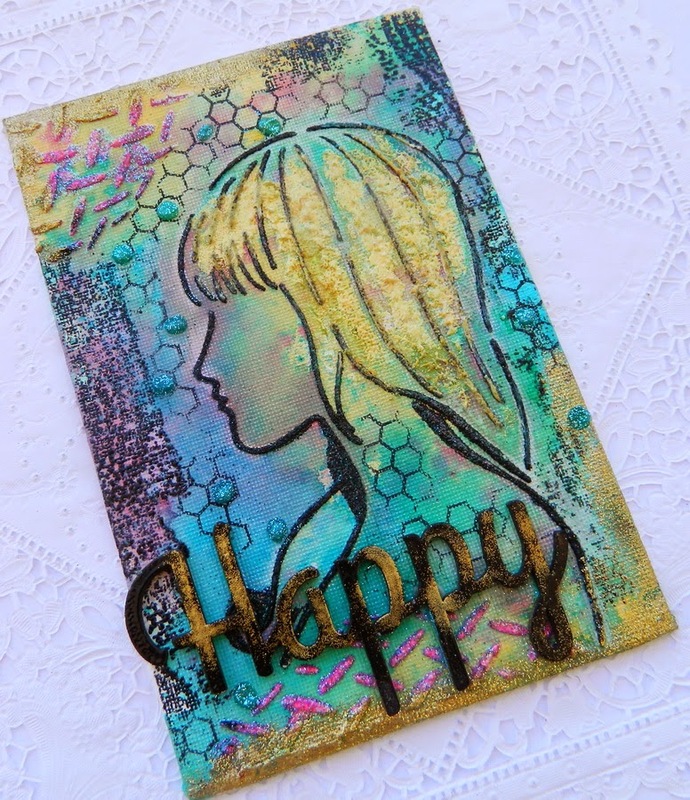 I used the rectangular frame covered with a think layer of embossing powders in a few colors to get this shimmery effect. The small chipboard pieces were heat embossed with the same couple of powders, less black one. 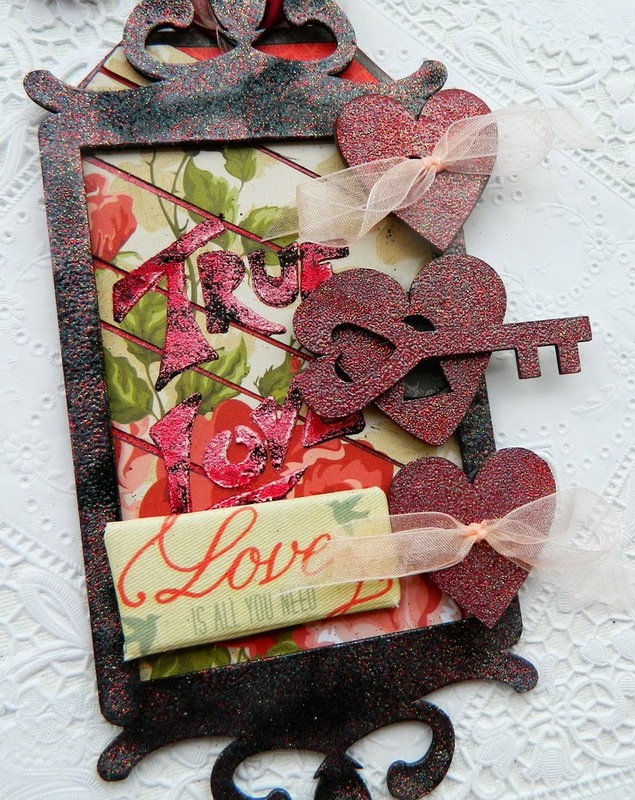 The True love words inside the frame are made with a texture paste and Alphabet Giovanna new mask. Then I heat embossed them with a very little black powder splash and a lot of pink mist over the paste. 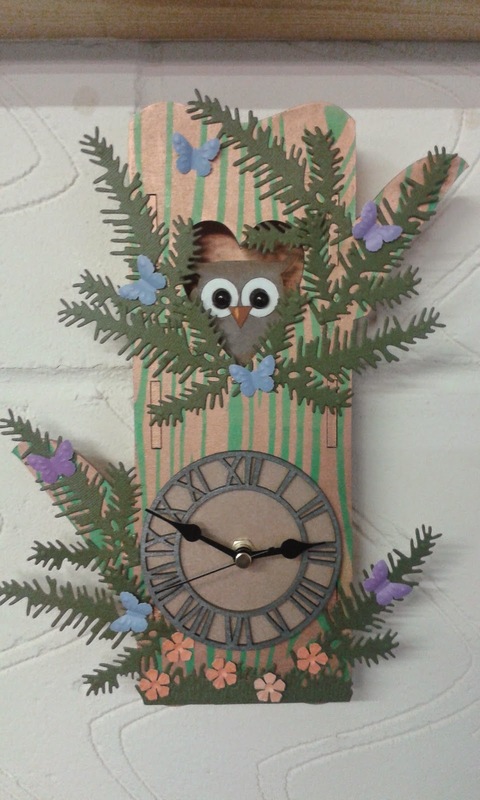 When I popped over to see BJ Crafts recently, Jean had done a fabulous example of our MDF Owl Clock so I just had to take a picture of it. You can find the clock on our retail site HERE. At only £8.99 it makes a perfect gift, it comes complete with the clock mechanism and hands as well. Helloooo! As it gets closer to Christmas we are just going to show you some of the things that we have made which don't follow any particular theme ;-) We are getting back to our prompts etc in the New Year and there are lots of exciting NEW things for you to see, with some twists and turns along the way!!! Today I would like to show you a mini canvas hanging that I made a while ago. This little canvas is only 2inches square and fun to work on. I painted the background with beige and cream acrylic before laying down the STRIPES MASK and pushing some texture paste through to form stems. When dry I coloured these with Promarkers to match the MINI FLOWERS that I had painted. The flowers were glued on along with two leaves from the MINI LEAVES pack. Some beaded wire was attached along with a sentiment to finish. Hello my dear crafty friends! 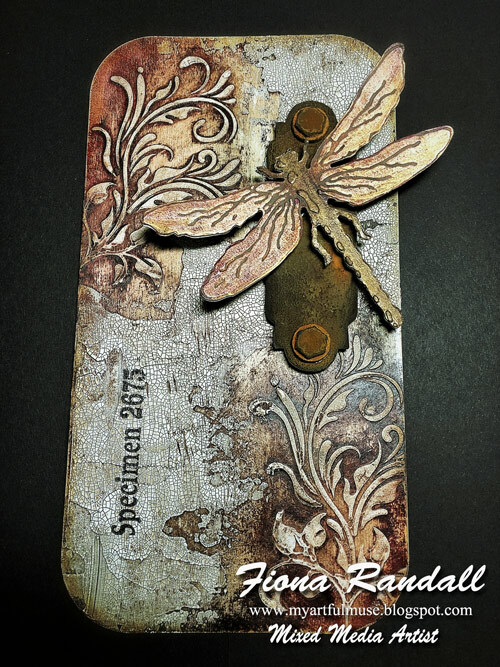 Irit is here again with a new Mixed Media project. This is my small, card size, canvas made for our Sparkle week. So here is my " piece of art": flat as a journal page, made with a few Tando Creative masks, few WOW! 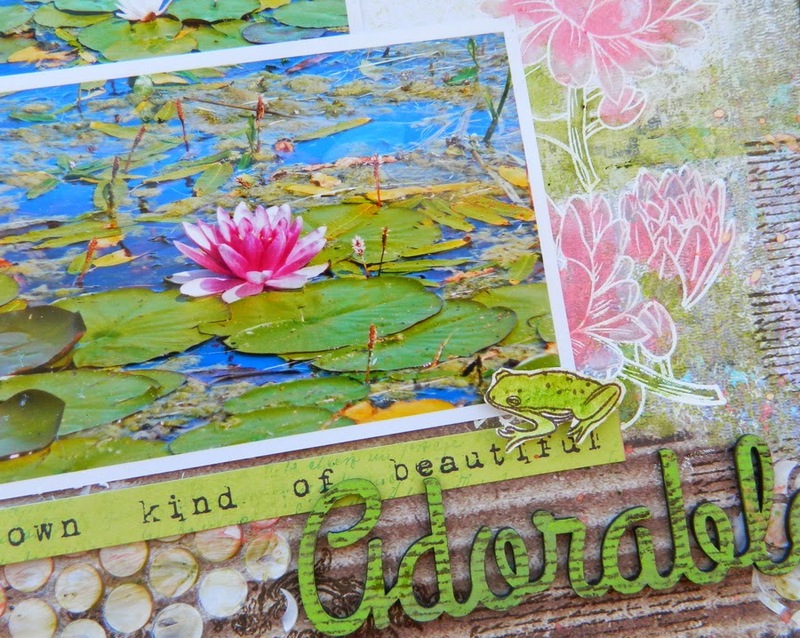 Embossing powders stamps as the background and a lot of WOW! POWDERS. 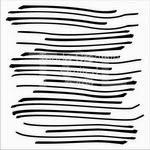 Both were used with white texture paste and then heat embossed with embossing powders. 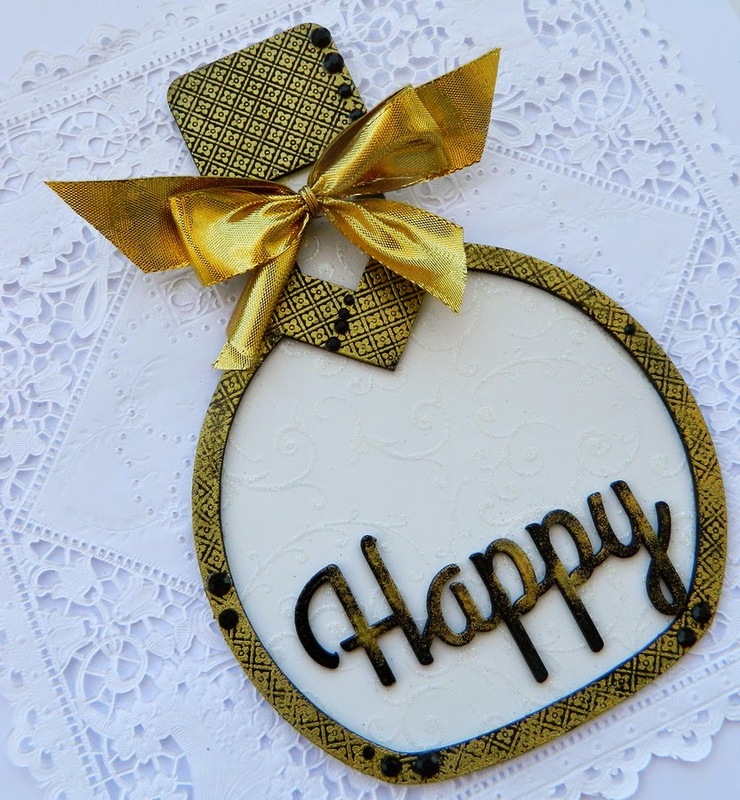 The Happy title was also heat embossed with a mix of black and gold powders and it's really shiny and sparkle even without any single crystal or pearl added. and added some Stampendous Glitzy Glitter and Prima Say It In Pearl for the centerpiece and I must say I simply love it and it was absolutely perfect for the occasion. What is so nice about the Tando chipboard is the thickness which allows you to do so many things like ink, glue, spray and you don't have to worry about the chipboard piece becoming to flimsy to work with. I absolutely love how the flowers came out and the grab bag has various flower sizes which makes it that much even better!! I hope everyone enjoyed my post for today and I wish everyone an awesome holiday and be sure to check out all the new things coming to the Tando store!! I made a video showing how I made the card. Watch out for me chasing the gem around the pack with tweezers for a while and then giving up and using my fingers! Note the cheapo kids glitter glue - I've had it for years! which must mean a new post over on the Challenge blog…don't forget we have prizes for one lucky player… see you there. Hi Tando fans! Dana here sharing an arch for the Sparkle theme this week. 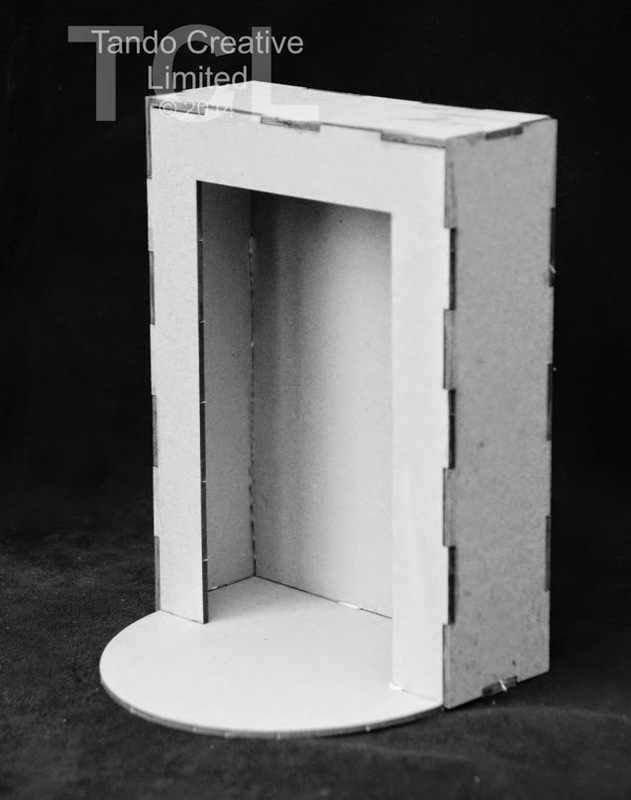 I used the inner portion of a Large Straight Edged Arch for the base of this piece. I covered the arch with a piece of gold glitter cardstock and then used the Joined Snowflake Mask and white mist to add a frosty pattern to the background. The snowy scene I added to the top of the arch is a sticker that I dressed up with a piece of floral trim and a pearl pen. I embellished the top of the arch with flowers and a Holly Flourish that I painted gold. To add even more sparkle to this arch, I covered the entire piece with a coat of Clear Rock Candy Distress Stickles. You can pick up this chipboard and mask, and everything else put out by Tando, in their new Retail Shop. 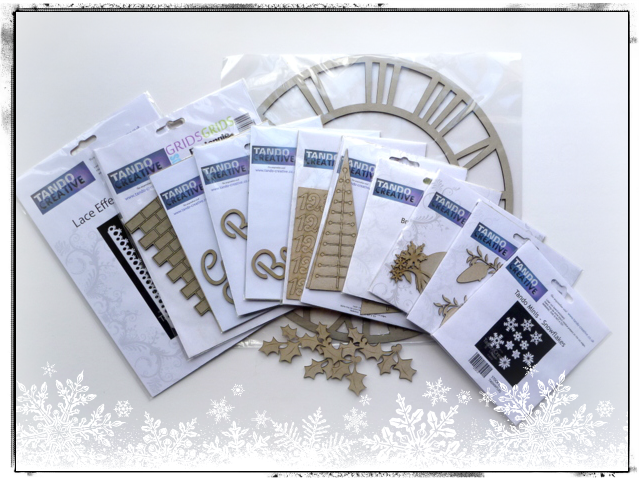 Use the coupon code TANDOXMASOFFER at checkout before Christmas Eve to get 10% off orders over £20.00. 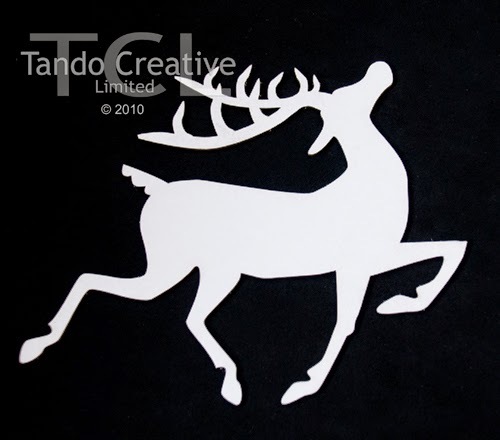 If you'd like a chance to win some Tando goodies, stop by the Tando Challenge Blog and join our Festive Fun Challenge! Tando is also sponsoring the Berry71Bleu Challenge Blog this month, so click over to see what you have to do for a chance to win this amazing prize package! Its all Sparkle this week!!!! I have painted the lower part red and added some Sparkle Medium through one of our lovely *Flourish Masks*. I dabbed Texture Paste on the top section and then rubbed in a little Treasure Gold. After glueing the pieces together I added teensy pom-poms to the points and a string tie. 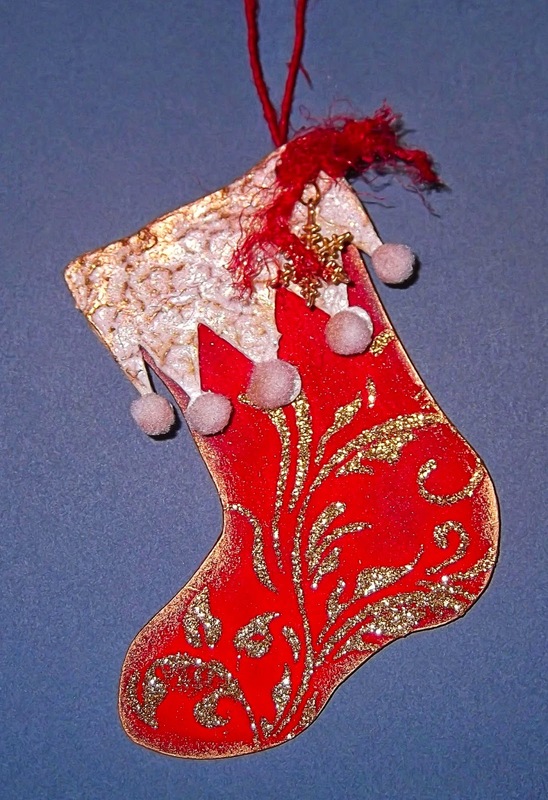 For those short on time this little stocking would look very pretty covered with paper too! 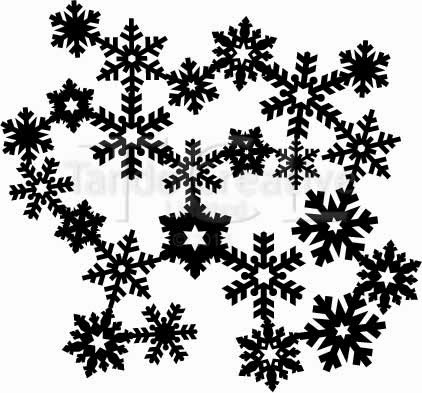 Oh and wouldn't Bunting look amazing done with these? Hello my dear crafty friends ! My new altered project is all about Gold. (added to bare chipboards or stamped over the painted chipboard, but still gold). I painted this Tando Creative Bottle frame with black acrylic, then stamped Ann Butler's one single 2'' Faux Quilting Unity stamp with clear embossing ink. Then I heat embossed it with Gold EP from WOW! and embellished with some black rhinestones. 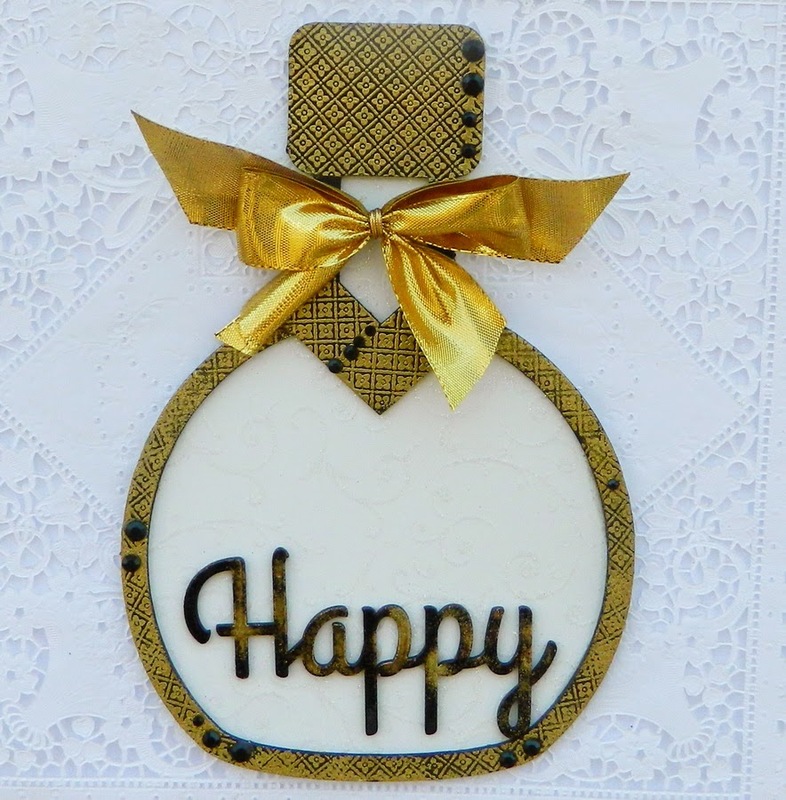 The back paper is glittered and embossed, so nothing more was added to this Tando Happy title, heat embossed again with black and gold powders. 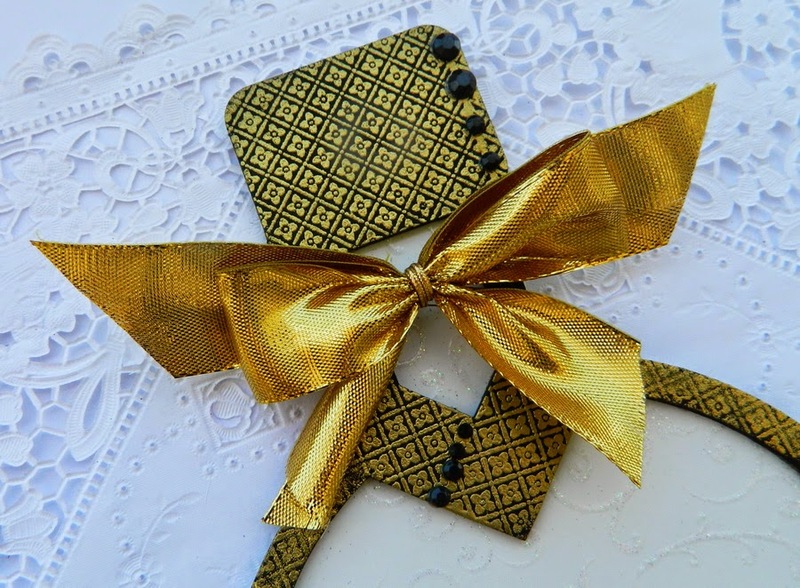 The last, but not least is this golden bow: recycled from some Lindt chocolates that I didn't like. But I sure liked the bow!